I wonder when this pagerank stuff will die off since it is completely useless. Agree Mike …. i don’t understand the value of it. 99.9% of the people who use the internet know nothing about it and care nothing about it either. I have seen my blog achieve a pagerank of 1. I know that does not sound great, but i only bought the domain in mid February, so to get a PR1 in 2 month is not that bad. I’ve noticed the fluctuations for the past two days so I think it’s safe to say the numbers I’ve been fluctuating between will stick. My blog went from a PR2 to a PR4. And a forum I ran that dropped from PR4 to PR0 from running TLA code has jumped back up to a PR2. (Read more on my blog if you’re interested). Either way I think I’m done with TLA for good. It seems Google is finally restoring PR to people who once used TLA. Nice. Good job on recovering your original slot. Yes David, I just came from your blog only and saw you PR6, that was awesome man! Congrats to Nate too for PR5. You both deserve good PR guys. I congratulate you on your getting your ranking back. I too however wonder whether this is of any great use. A lot of your readers will come to you regardless of your ranking. Perhaps that should be good enough for your other purposes. Congratulation for your PR 🙂 although i don’t believe on PR. To me its totally useless. Mine PR is still same there is no change. No change for me, but I dropped from 4 to 0 lats time and my traffic has gone up so I’m not fussed. I went from a PR0 to a PR5 first tiem around, dropped to a PR4 last time, now i am back up to a PR5. there are no SEO secrets…. that i would share! Except try to realize that PR doesn’t matter that much. The trust rank is what you need to worry about but good luck cracking that egg. The key is to produce HIGH quality content and become an authority in your niche… or just spam like crazy for prescription drug terms! Ah! Page rank raises its ugly head again! Why this matters so much is still a mystery to me! Still many of my clients websites done lot better in this update, goes 2 to 5 and 1 to 4, and many more got increased PR by 1. Pingback: Pagerank update underway for April 2008. 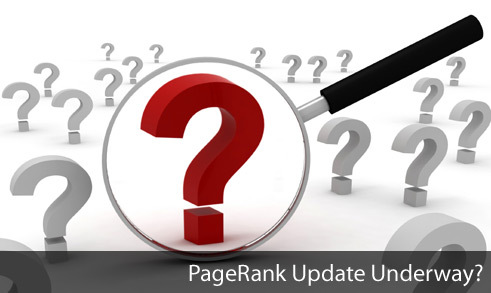 Thank you for reminding us what to do when the pagerank update is coming around… preparing for it can make it much more beneficial to you. A lot of people feel that PR isn’t important and SERPs are everything… but I think that it carries a lot of weight especially when monetizing your website with advertisements. I have checked some of my sites and find that there has been some movement but I am not particularly bothered as I am going more by traffic to generate interest. I’ve used TLA on a number of my own sites and I was never penalized for it. I’ve seen steady PR growth over all of my PR sites through the last couple updates. I feel bad for those who were penalized, though. i’m more concerned with traffic right now, not my ranking. congrats on moving up! I know PR does not mean a thing unless you are selling links, but I am so happy that I have got a PR of 2 on my blog. It just shows that the work I am doing is atually having some kind of effect. If I asked 99% of our clients what ‘pagerank’ is, I would receive a blank stare or a shrug of the shoulders in return. As mentioned before, it’s useful for selling advertising, but that is it. There are other functions that are just as effective for selling advertising, but also achieve other things as well. I couldn’t even tell you where my pageranks are. It could just be me though. Darin.CC didn’t gain any PR however all my other sites got their PR back! Congrats on the upward PR update. My site and blog are both PR 3 now. This update has had less bloodshed and more happy faces it seems. Congratulations… Mine blog is new hope it will get a higher PR like you in next Google PR update. Very weird. Normally, I’d see the same results for most of my sites. This time though, one site got “demoted”, while two others – NEWER ones, by the way – got higher rankings. Big G, what are you doing to us?!? Rankings have only INCREASED since the drop – further proof PageRank is pretty overhyped. We increased 1 to a PR5 but this has taken us 8 years. I am definitely going to read your post on preparing for the Page Rank update. Anyone know when the next one might be. Can anyone please tell me why PageRank doesn’t help rankings? 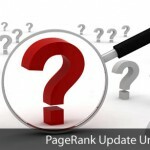 Page rank is how many backlinks you have and SERPs are dependent on the number of backlinks so if two sites were exactly the same except one had a high page rank and one low, the high one must have more backlinks so will rank better? Or does it have to do with the type of backlink, eg. whether it’s related content and whatnot. PR might add that additional pressure to bloggers to make their blogs unique and interesting. thanks for all the info there Nate. We’re moving our site from a ‘generic website’ to a WP-based one and I’m really curious to see if there are any major advantages when it comes to natural SEO traffic and PR. PR update posts always generate the most comments. Even though you might not care about PR most people still can’t resist clicking and commenting. Wat about next PR update, people are expecting on 28th June.2008. What do you think all guys? PR is not as important as it used to be. As long as you’ve got the traffic, then you’re good to go =) That’s just my opinion anyways. yeah, I agree watch gilmore girls but I think PR is a bit important because more high your PR, it will give more chance to make more $$$ online.. I cannot break past a PR 3!!!!! Its killing me! I got a PR 3 within first couple months and now it wont move. Our site has been stuck on PR 1 when it used to be PR 3, what is going on, when is the next update? Please advise. http://www.y3.com free flash games though. 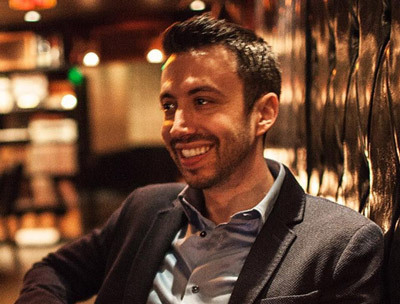 Me agrada la noticia de que empresas como Nate Whitehill luchen por expandirse por nuestro país, España. Espero que tengan una gran evolución y apuesto que así sera, el trabajo bien organizado y solido, que dan sus frutos. Invito y animo a que más empresas pierdan el miedo a expandirse por nuestro planeta.